If you could boil down all your needs to the one thing you really need, what would it be? A different job? Better health? More joy in your daily life? It’s a tough decision. What would you say is your country’s biggest need? I’m convinced, the answer is basically the same. What you and I need most is what your country needs most—and what my country, Brazil, desperately needs. Brazil is the largest country by area in the Southern Hemisphere, and the population is spread through five distinct regions. However, the need is the same throughout the country—Brazil needs Christ. Where His light shines, darkness cannot prevail. When God’s power is manifested through His church, there is change in all areas of society. The vision of Razão Para Viver—the Portuguese-language ministry of Insight for Living Ministries—is to be conduit of God’s power and to impact society for Christ by making it possible for every Brazilian to have quality access to the Word of God. Inspired by Insight for Living Ministries’ Vision 195, Razão Para Viver is multiplying efforts to reach these five regions of Brazil. Our radio broadcast is well-known throughout the country, and we are now excited to introduce a new Web site for our people. This new Web site will exponentially increase our ministry’s ability to share the gospel throughout the country, to stay in touch with our listeners, and to provide support to Christian leaders who need help. One of our passions is to train, equip, and multiply leaders and pastors in our country. 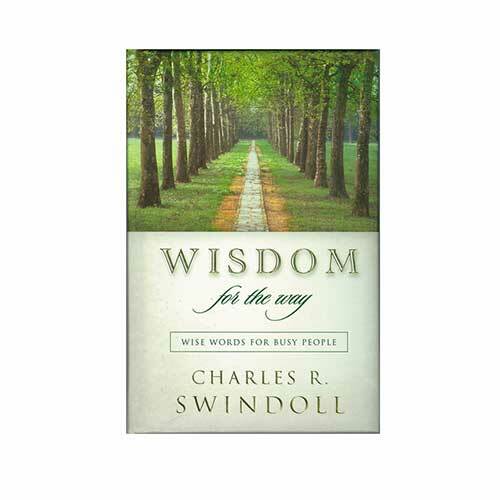 We use Chuck Swindoll’s books and study materials to teach about leadership and the church to young, dynamic ministers who have little access to other resources. I am mentoring pastors in the busy populations of cities like São Paulo, Rio de Janeiro, and Belo Horizonte, as well as people on the fringes, including indigenous peoples, those living on the banks of the Amazon River, and the sertanejos—farmers in the arid regions of Brazil. We recently returned to one of these regions, the Amazon, where we have been mentoring missionaries and pastors who work with indigenous people of this area. On this trip, we discovered that many new pastors have heard about our ministry and would also like to be mentored. We are grateful that our ministry is known for offering sound, biblical training that truly benefits these pastors and missionaries who are trying to reach the remote villages of the Amazon region. In the midst of its beauty and richness, its dirt and corruption, I pray and dream of what Brazil can be. I also pray about what I can do to make a difference in a country that needs one thing more than anything else—the life-changing truth of Jesus Christ. I truly believe that our God will provide in good time all that is necessary so that we can achieve His goals. With the light of Jesus, we can influence tomorrow’s leaders and make Brazil a better place. Copyright © 2016 by Insight for Living. All rights are reserved worldwide. Fernando Bochio serves as pastor of Insight for Living Brazil, where he translates and voices the Portuguese-language Insight for Living program, Razão para Viver. Fernando served as a Baptist minister and theology lecturer for more than 35 years in Brazil.